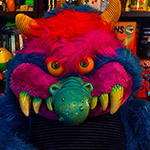 My Pet Monster Doll in Movies and on TV! | Dinosaur Dracula! 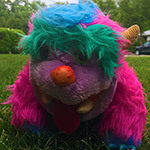 The original My Pet Monster doll was awesome in a once-in-a-lifetime way. He was just so big, so unique and so toothy! 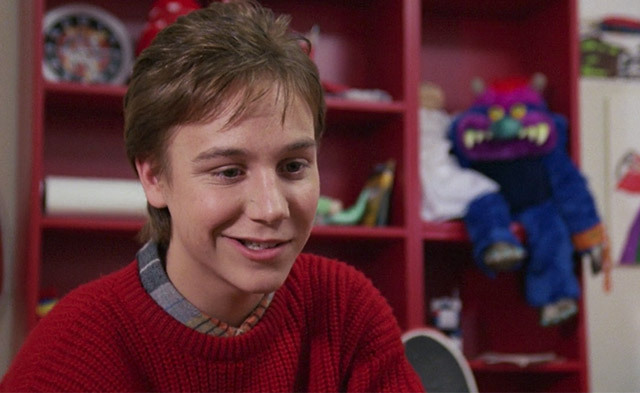 If you’re looking to buy back a piece of your childhood, that doll is one of the few ‘80s toys that really lives up to its legend. 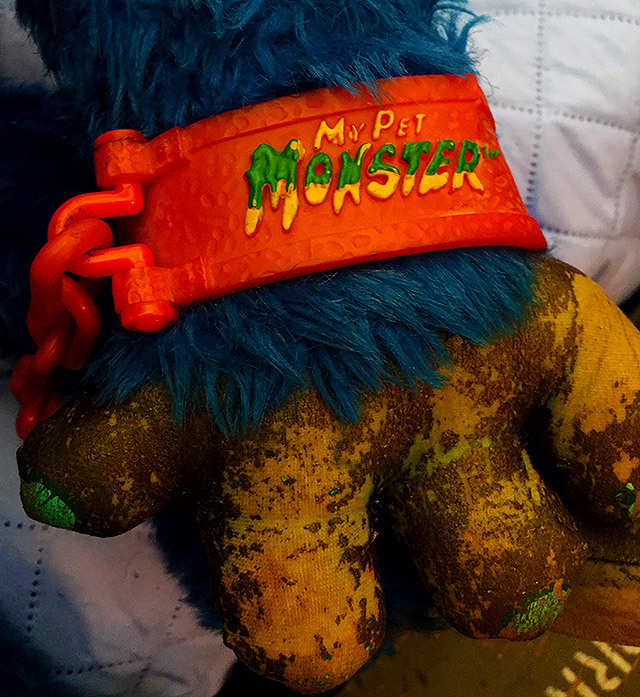 In fact, My Pet Monster was so cool that it used to be a favorite among set decorators. The doll appeared in several movies and on at least one TV show, which was all the more remarkable when you realize that none of those appearances were paid for. With a ginormous assist from my pal Sammy Hain, I’ve compiled a list of the doll’s appearances in movies and on TV. See below, and if you spot our furry friend hiding in any other films or shows, please let me know! During an early scene in Sara’s bedroom, her brother busts in, looking for pimple cream. Now reread that last sentence like it’s a verse from a Warren G song. Look beyond all of Sara’s Thor collectibles and you’ll spot My Pet Monster, hiding in a bookcase! Remember the scene where Eugene’s dad inspected his closet for monsters and somehow didn’t notice the undead mummy inside? Well, that mummy wasn’t the only monster in Eugene’s bedroom. 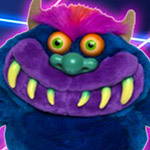 Almost daringly center-framed atop his dresser was a My Pet Monster doll, complete with the handcuffs! This sighting happens late in the movie. Harmony, a troubled runaway, abuses the powers of Santa’s magical sack, but is frustrated with its insistence on only giving out toys. Watch the scene closely enough, and you’ll notice that one of those magical Christmas playthings was My Pet Monster! Episode: Do You Know Where Your Children Are? 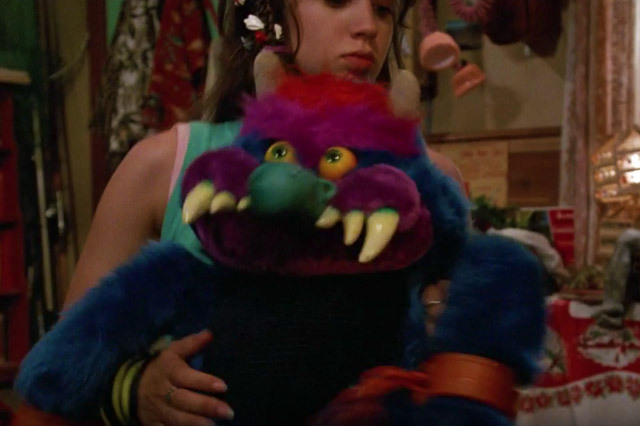 So what made My Pet Monster dolls so attractive to set decorators back in the ‘80s? 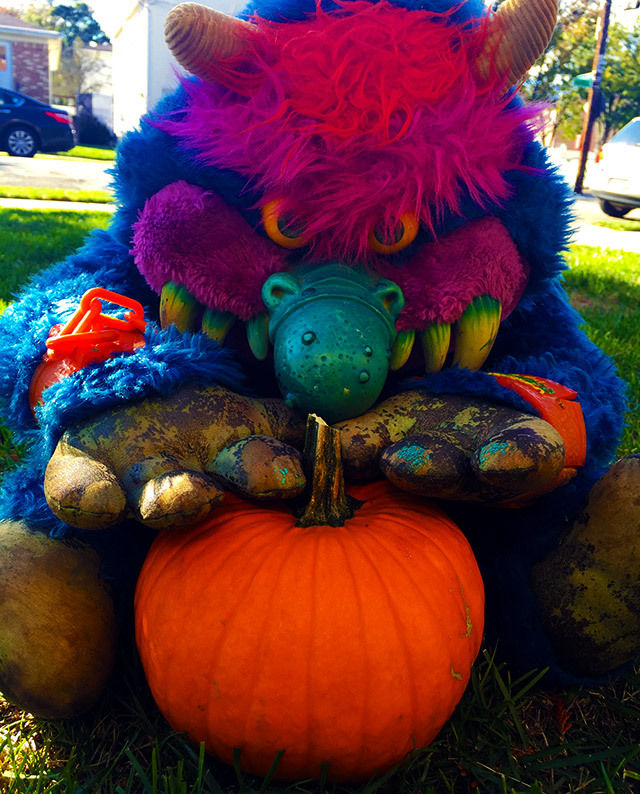 Aside from the obvious reason — the doll looked fantastic — I’m betting that My Pet Monster’s relatively low status on the pop culture totem pole made him seem like a safe pick. 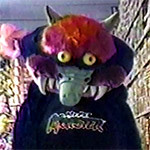 Sure, My Pet Monster had a cartoon and even a live action film, but even *I* didn’t learn about those things until adulthood. Those set decorators might’ve believed that they were filling space with no-name teddy bears — albeit mutant blue ones! Big thanks again to Sammy Hain for his investigative assistance. This article would not have been possible without him! 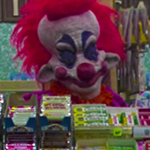 1980s Candy in Killer Klowns from Outer Space!